Our Customers look to us to lead in an ever changing economy. Everyone strives for good customer service, but the real test is the test of time and repeat customers. Our customers continue to look to us to guide us in the continuing changing market. Since 1902, our ability to lead in customer service has kept us as the leader for more than 116 years. Picking the right site means everything. Location, location, location. Part of that process is the initial cost to develop a site. Site costs can be some of the most expensive and they can vary the most. This is why it is important to have a trusted advisor who knows those cost and can be there to help assist, before you purchase, helping save money before the project even starts. We have been Butler's designated High Performance Builder. Butler Buildings and large structural systems. 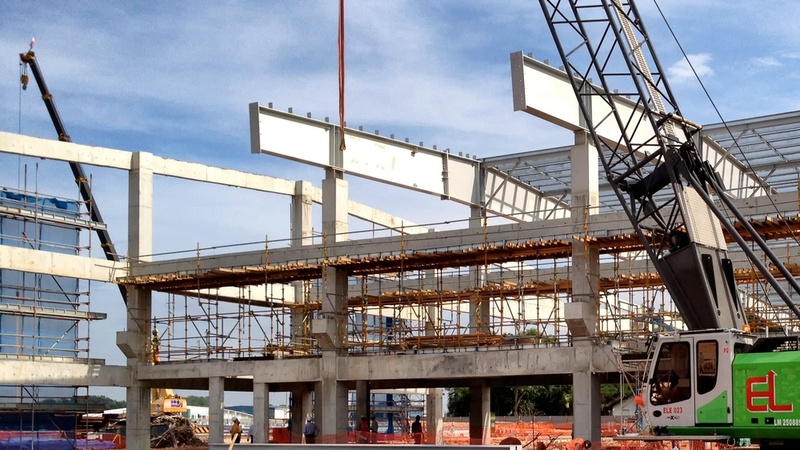 Framing and buying the right steel the first time will not only save you money in the beginning of the process, but will be really important as you occupy your building. Nothing worse than a leaky metal roof with screws that you have to caulk. Butler's invented the MR-24 Standing seam roof. It is the best roof you can buy. It's that important. Design with Budget in mind, Build with confidence. Many say they do it, but we rely on it. Taking the customer from where they are in the process to project completion. That is true Design Build. That's what we do best. The proof is in our satisfied customers. They start as customers, but they end as friends. Green & Leed Buildings. Helping our customer sustain in the future. Building Green. We help lead our customers through the process of achieving an energy efficient facility. It helps with sustainability and lower ongoing facility costs. It's good to be green. Construction Management. You do not have to be a large company to manage projects globally. You have to have to be able to have the trust of the customer and take care of them. This is why our customers choose us to manage their projects, not only in our hometown, but around the world. Safety isn't a program, it is a way of life. Safety is job one. Safety is not a program it is a standard of operating your business as if someone's life depends on it. Because it does. We received a safety award for a project with 500,000 man hours/zero incidents. Safety is job one.